To improve jobsite productivity, you must first go paperless in the field. This is one of the five secrets to improving jobsite productivity — all of which are outlined in our latest ebook. While there is no magic wand to wave over the industry, there are five steps you can take towards improving construction productivity — the first of which is going paperless on-site. According to Mckinsey’s Global Digitization Index, the construction industry is one of the least digitized in the world. One reason for this, according to the 2018 ConTech Report, is that 40 percent of construction companies still use paper and pen on-site. This suggests that companies are reluctant to move away from older methods of communication and into the Cloud where real-time sharing of information between disparate teams boosts collaboration, transparency, and ultimately, productivity. Instead, Mckinsey reports, construction companies rely on paper and pen to create and manage deliverables such as blueprints, design drawings, daily reports, and punch lists. As a result, information sharing is delayed, important data is lost, and time is wasted looking for the answers required to progress real work. This, in turn, stunts construction productivity. 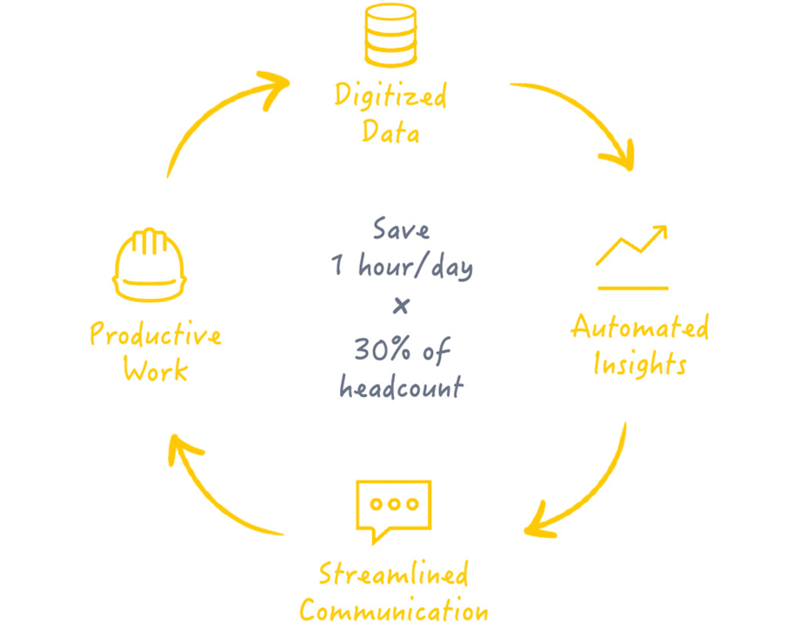 The digitization of construction workflows with construction productivity software, however, is slowly catching on and reinventing the industry — so much so that Graham Group, a $2.2 billion dollar company in Canada, broke away from traditional habits to embrace technology and improve jobsite productivity. Graham was able to eliminate paper copies of plans in the field which saved them $35,000 on printing costs on a single project. 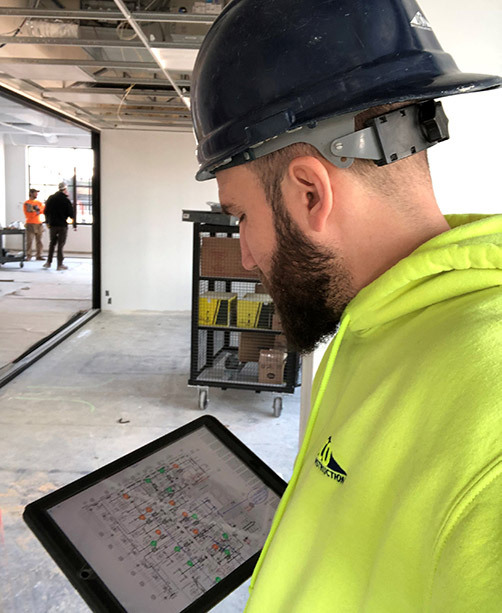 Now, instead of manually updating plans and reprinting them when a change is made, Graham can add markups on the fly and access the most recent set of drawings from any mobile device; a huge-time saver for jobsite teams and a simple way to improve jobsite productivity. 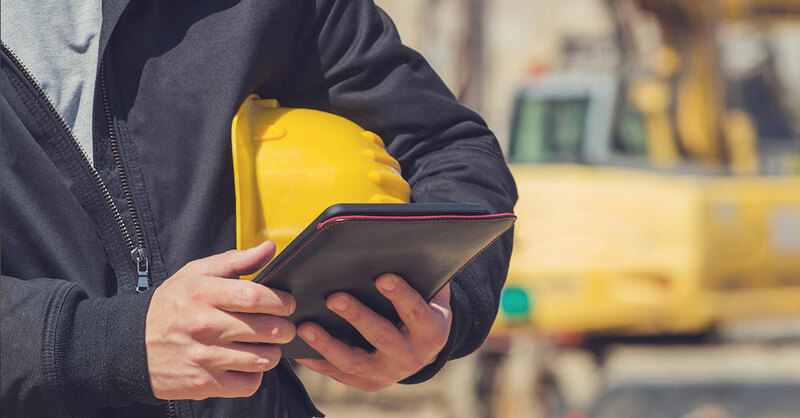 To continue to move the field productivity needle forward, construction companies — big and small — should go paperless on-site to improve coordination, communication, and consistency on projects. Only then will production will flow. Project success is, therefore, the ability to assemble owners, general contractors, subcontractors, and suppliers around shared knowledge and common goals to create an environment of mutual benefit. This coordination of professionals must exist across all lifecycle phases of an asset — from design, through construction, operations, and maintenance — for maximum field productivity and project success. It’s important to note that a lack of coordination has real costs and that the extent of these costs is much worse than many construction companies realize. 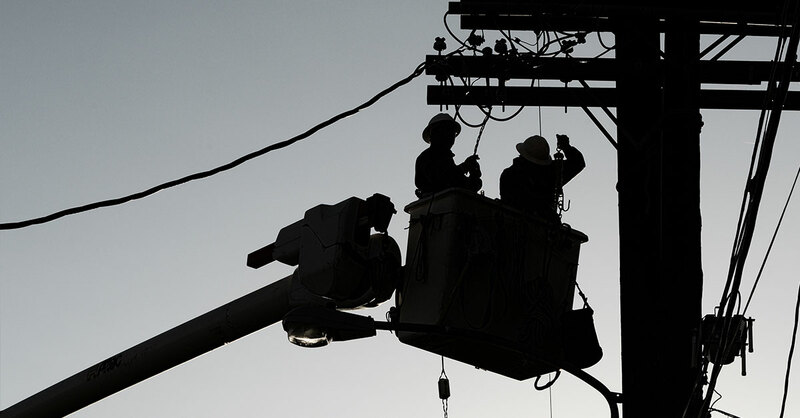 For example, up to four hours are lost to rework activities incurred from poor coordination each week, and, according to constructionpros.com, 90 minutes per person per day is wasted ‘looking for stuff’ needed to keep production moving. This annualizes to about to about 18,000 hours spent looking for information such as phone numbers, misplaced tools, parts, and jobsite directions; information that is easily accessible when everyone is working from the same place. Engineering and construction professionals still communicating via paper plans, physical notes, emails, or calls in the field are not only stunting jobsite productivity but hurting profitability. In the U.S. alone, $31 billion is wasted on rework due to miscommunication and having inaccurate data on-site, according to a study lead by FMI Corporation. To reduce this type of construction waste significantly, craftspeople should embrace mobile construction technology that supports real-time communication between jobsite and office teams. With projects becoming more complex and schedules running tighter, the need for fast and effective communication has never been greater. Having the ability to capture and catalog communication in real-time not only keeps production moving but enables workers to resolve issues more efficiently should they arise. JBKnowledge reports that nearly 50 percent of craftspeople still manually prepare and process reports, meaning digitization must ultimately serve multiple masters and all project assets — reports, documents, regulatory requirements, and plans — must exist within a lifespan both contractors and owners are a part of. Unlike contractors who exist within a shorter project lifecycle, owners need assets to exist beyond the completion of a single project or date, and that’s exactly why digitization matters. According to Andy Holtmann, collecting physical copies of requirements or regulations often leads to a loss of information and communication delay — not to mention the fact that paper documents are expensive and rarely get updated. For example, in the event that compliance issues arise, the project owner must have access to the right information he or she needs in order to respond quickly and confidently. If this information is scattered in various folders, spreadsheets, or physical files, it’s going to take them much longer to find what they’re looking for. The owner must ensure that no matter what stage of the lifecycle their project is in, the necessary insight into digital information can be readily retrieved and acted upon in the field and on the jobsite. If not, production won’t flow. 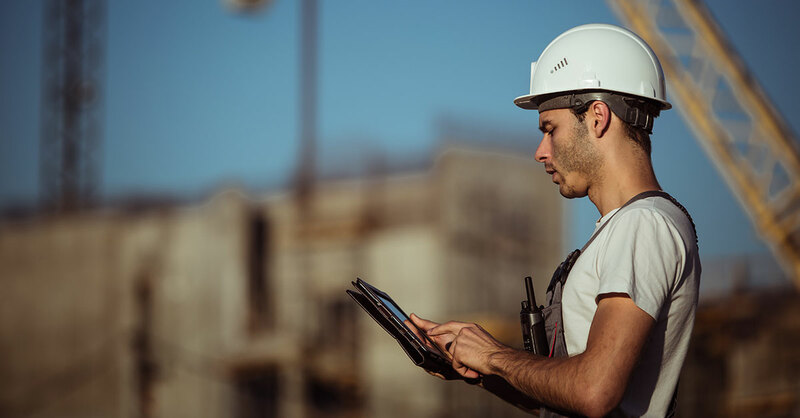 Digitization of inspection check lists and punch lists via real-time construction management software, can help to bridge this informational gap between the field and the office. In our latest ebook, The 5 Secrets to Jobsite Productivity, we outline the remaining four steps you need to take to improve jobsite productivity in construction. Start with one and work your way through the list, knowing that every step forward is a step in the right direction. The construction industry is ripe for change, but it is up to you to embrace this era rather than resist it. Technology is rapidly evolving to help you operate more efficiently, which, in turn, keeps production moving. The world’s critical infrastructure deserves our collective best efforts to improve productivity and work more effectively in concert to challenge the status quo. To move past the productivity problem in construction, we must first embrace the Cloud. In fact, leveraging Cloud software is one of the five secrets to improving jobsite productivity — all of which are outlined in Fieldwire’s latest ebook. 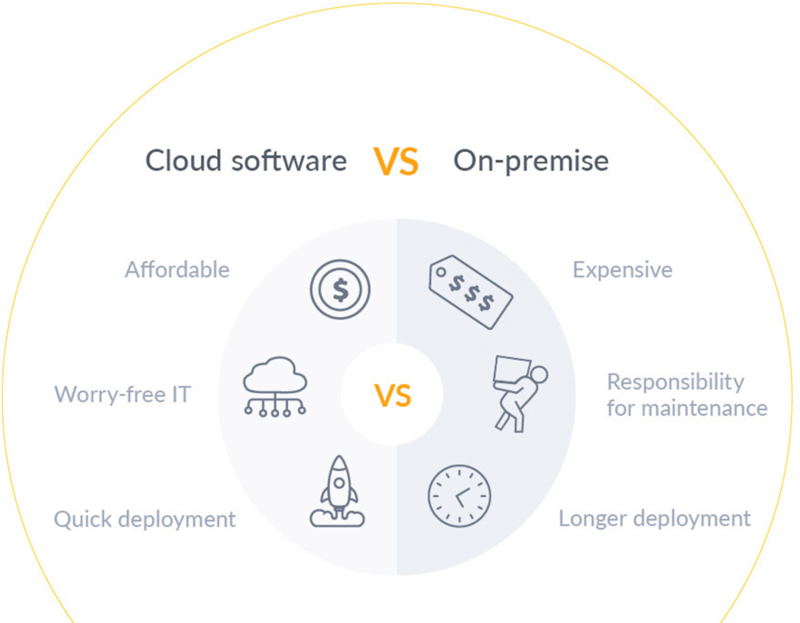 Because your time on-site is valuable, it’s important you chose Cloud software that’s easy to deploy, use, and maintain. Unlike on-premise software, Cloud software makes your life easier in the field so that you can stay focused on doing real work. Download our latest ebook to learn how to leverage Cloud software for improved jobsite productivity. It’s time to start working smarter, faster, and with far less headaches! Compared to on-premise software, Cloud software has zero upfront costs and can be quickly implemented, so it’s no surprise that ENR Top 100 contractors like Webcor Builders are switching to Cloud software to improve construction productivity on $500 million dollar projects. 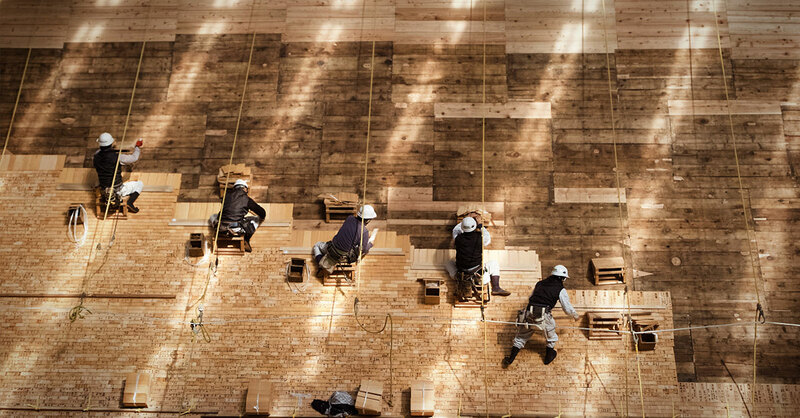 Once implemented, Cloud-based technology should be prioritized to help craftspeople operate more efficiently in the field, says McKinsey, as 80 percent of all construction work is done on-site. Whether the worker moves through the work (traditional construction production) or the work moves to the worker (manufacturing and/or pre-fabrication production), the cloud must meet the craft at the work-face itself. Not all cloud-based software is the same, and careful consideration should be taken to ensure that the selection ultimately made satisfies the needs of jobsite teams. According to TINYpulse’s survey, 26 percent of construction workers are frustrated by a lack of tools required to do their jobs better. They need fast, simple, Cloud software that helps them coordinate work and communicate in real-time. Even more, they need field management software that empowers them to disconnect from the trailer while still being able to communicate with the office. For adoption to stick, field teams must utilize simple, adaptable, and deployable solutions that don’t disrupt the flow of work. When careful consideration is taken and the right Cloud investment is made, jobsite productivity will increase and users could save an average of five hours each week. The Cloud is one of the many wonders of the internet age which solves most of the common problems companies face today. These solutions are quality, secure, and come at a price that custom-developed software simply cannot match. Every company should leverage Cloud software to improve productivity and save on resources. Our latest ebook, The 5 Secrets to Jobsite Productivity, outlines the remaining four steps you need to take to improve jobsite productivity in construction. Start with one and work your way through the list, knowing that every step forward is a step in the right direction. Eight trillion dollars - that’s how much the global construction market is set to grow by 2030. With this information in hand, it’d be logical to conclude that the industry is coasting its way into the future with little to no roadblocks. Unfortunately, that’s not the case. The industry’s growth makes it easy to look past some of its most significant issues such as the labor shortage, constant project cost overruns, and lack of construction productivity. In fact, the sector’s annual productivity growth has only increased by one percent in the past 20 years. The construction industry’s productivity lag can be attributed to five trade-specific problems: lack of technological advancement, miscommunication, coordination issues, inefficient use of time, and lack of context around tasks. In our new ebook, The 5 Secrets to Jobsite Productivity, we provide a practical guide to help construction teams combat these issues and improve jobsite productivity. 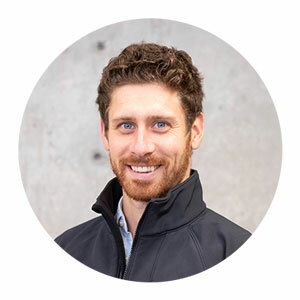 While there are several technologies changing the construction field, most of them target how projects are designed, not necessarily how they are executed. In fact, many of the communication “tools” used in the field now are the same ones that have been used for the past 30 years - paper, pencils, and phone calls. In fact, as many as 40 percent of construction companies still use paper and pen on construction sites! This is an issue because these tools make the construction process ripe with opportunity for mistakes. Daily reports, punch lists, and blueprints are constantly updated throughout the project. However, the use of pens and paper to track this information makes the thorough dissemination of the updates challenging - or simply impossible. There are hundreds - even thousands - of hands on deck for construction projects, and teams need to adopt technology that will make the process smoother. Communication is essential for success in just about anything, but it’s exceptionally important in construction. Each project has a LOT of moving parts that can change on a daily basis. As stated above, paper and pen updates just aren’t going to cut it. In fact, miscommunication and inaccurate data onsite contribute to $31 billion wasted on rework. Communication is also challenging when one project features multiple languages. According to a 2016 report from the Bureau of Labor Statistics, 20 percent of all men employed in construction were Hispanic or Latino while 13 percent were white, meaning there could be (and is likely) differences in language. In fact, research has found that one of the biggest challenges in the construction industry is the English-Spanish language barrier. That’s why verbal communication can no longer be the only way to relay information on projects. Each construction project can have hundreds - or thousands - of workers, each assembled in different roles with varying goals. General contractors, specialty contractors, suppliers, architects and designers, and project owners must work together to create a plan and bring it to life. However, while they are all working toward an end goal, they are doing so on different teams. Obviously, accomplishing the level of teamwork needed is easier said than done, especially when those involved are all working off of various technologies - or some, none at all. However, it is essential, as a lack of coordination on construction projects leads to mistakes and wasted time. 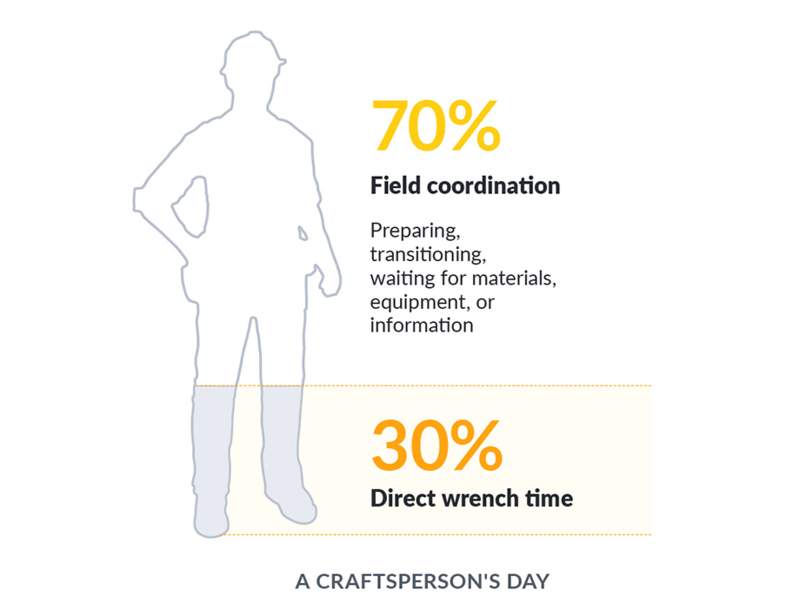 Thirty percent - that is how much time a craftsperson spends on actually building. But where does that other time go? The other 70 percent is allocated toward preparing for tasks and gathering equipment and materials. Some of that time is spent waiting to be instructed on what to do next. According to forconstructionpros.com, as much as 90 minutes per person per day is wasted simply “looking for stuff.” While planning is important, building needs to be the main focus of time. Otherwise, construction projects will exceed the original deadline and significant cost overruns will arise. Too often, craftspeople are assigned tasks with little to no context. Simply put, they are told what to do, but they aren’t given the information needed to complete a task efficiently. They are put to work without plans, photos, or forms that would help them fully understand what they need to be doing and where they should be doing it. This issue contributes to the construction industry’s already staggering operational waste. Right now, the sector is wasting $1.6 trillion due to its lag in productivity. Closing the gap between plans and tasks would reduce that waste, helping the industry as a whole. The construction industry is transitioning toward the future, but when it comes to productivity, we’re still very much stuck in the past. Our new ebook provides actionable insights on how to work through these issues to improve construction productivity. There’s a lot of common terminology that gets thrown around in the construction industry. We went over a number of them in our previous article but there are still so many to uncover. If you’re ready to learn 15 more key construction terms then this is the post for you — let’s dive right in! Addendum: Any documentation (drawings, specifications, etc.) issued during the bidding process to modify, clarify, or complement the information outlined in the bidding documents. Addenda become part of the contract documents upon awarding of the contract to a firm. Back Charge: A charge against a contractor’s contract for costs incurred by another party that should have been incurred by the contractor. A back charge typically takes form in a deductive change order. For example, if the contractor in charge of fire sprinklers damaged a wall using a boom lift, that contractor may incur a back charge from the drywall contractor for the repair work. Bid: A binding offer made by a contractor to do the scope of work specified in the bidding documents at a certain price. This offer must be in accordance with the plans and specifications of the project and the terms and conditions stated in the offer. Bulletins: The new drawings or specifications that are issued (usually by the architect or lead designer) to the contractor after its contract award. These may be a result of RFIs, an Owner’s request, errors/omissions, or a reviewing agency request. Commissioning: The process of testing and verifying the intended behavior of the building systems, such as HVAC, plumbing, electrical, life safety, lighting, etc. This is generally conducted by the contractor in tandem with the facility management team in order to ensure that the building staff are prepared to operate and maintain its systems and equipment. Contingencies: The cost provisions in the project budget that make allowance for oversights and unforeseen circumstances associated with the project. Depending on the nature of the contract, the contractor may require Owner’s approval to draw funds from contingencies. Core & Shell: A term that refers to the base construction of a building. This includes its structure, cladding, and vertical systems, such as MEP utility risers, stairs, and elevators, as well as its finished common areas, such as lobby and restrooms. Field Order: A work order issued to a contractor by the Owner or General Contractor to perform work not included in the contract. The contractor will then be entitled to a Change Order for the extra work. Field Orders are used to expedite work in an emergency or crucial situation, when there is no time to compile and approve a Change Order request. Fit Out: A term that refers to the interior construction of a building to make it suitable for occupation. This could include distribution of MEP services, ceiling systems, finishes, furniture, lighting, etc. Liquidated Damages: An amount of money that the contractor would owe the owner in the event of a breach of contract. These would typically get calculated by a formula such as $10,000 per day that substantial completion is delayed. OAC Meeting: A meeting held at a scheduled time (generally weekly or biweekly) between the Owner, the Architect, and the General Contractor. This meeting covers general project management topics, such as safety, scheduling, procurement, RFIs, Submittals, Change Orders, Design Changes, etc. 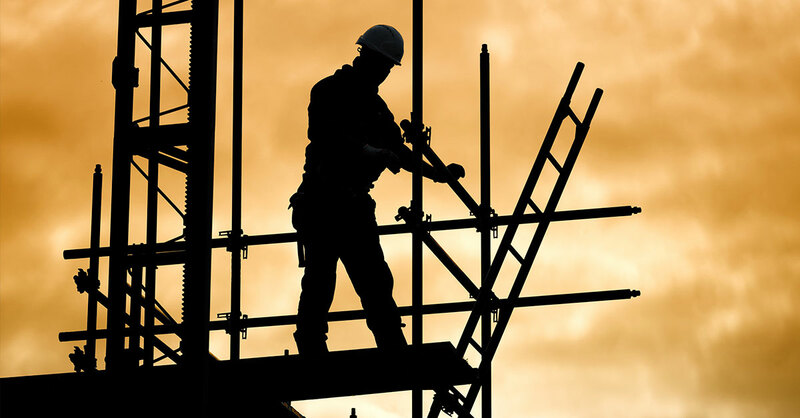 The General Contractor is usually responsible for leading the meeting and distributing the meeting minutes. Rough-In: The initial stage of the wall framing, HVAC, electrical, and plumbing installation. This includes all of the components that won’t be seen after the completion of the project. All trade rough-ins must generally be inspected prior to insulation and application of finishes. Schedule of Values: The breakdown of a contract amount into sub-items and sub-costs for identifiable construction elements. This is usually used as the basis for submitting and reviewing progress payment. Substantial Completion: A milestone in construction projects defined as the stage when work is sufficiently completed in accordance with the contract documents. This indicates that the Owner can now utilize the building or facility for its intended purpose. Only minor works, such as punch list items, will ordinarily remain after reaching substantial completion. Take Off: An estimation of the quantity of material required to complete a certain scope of work. That does it for this list of valuable construction terms you need to know. These definitions should come in handy while you’re out in the field and contributing to your projects. If there are any other terms that you regularly come across and would like us to focus on, don’t hesitate to let us know by writing to support@fieldwire.com. Keep an eye out for our next list!